When somebody has a stroke, it means that some part of their brain tissue has died. Stroke is usually produced by the interruption of blood flow to part of the brain. Common vascular problems that can lead to stroke include thrombosis (clotting) of blood vessels in the brain, embolus (a blood clot that travels to the brain from somewhere else), and local problems involving blood vessels in the brain, such as an aneurysm or inflammation. When Are Strokes Called Cryptogenic? After a stroke, sometimes it can be quite difficult to determine whether the interruption of the brain’s blood supply was caused by a blood clot that formed in place (thrombus), a blood clot that traveled to the brain from elsewhere (embolus), or some other vascular problem. A stroke should not be called cryptogenic until a full medical evaluation has failed to reveal a specific cause. In general, such an evaluation should include brain imaging (with a CT scan or MRI scan), imaging of the blood vessels that supply the brain (carotid duplex or transcranial Doppler studies), and possibly angiography. In addition, a complete echocardiographic study of the heart should be done, looking for potential cardiac sources of an embolus. Such cardiac sources include blood clots in the heart (usually in the left atrium), patent foramen ovale (PFO), an aneurysm of the atrial septum, atrial fibrillation, or mitral valve prolapse (MVP). If no specific cause for a stroke can be identified even after this thorough evaluation, the stroke is deemed to be cryptogenic. There are many potential underlying causes of cryptogenic strokes, and people who are labeled as having a cryptogenic stroke are a heterogeneous group. 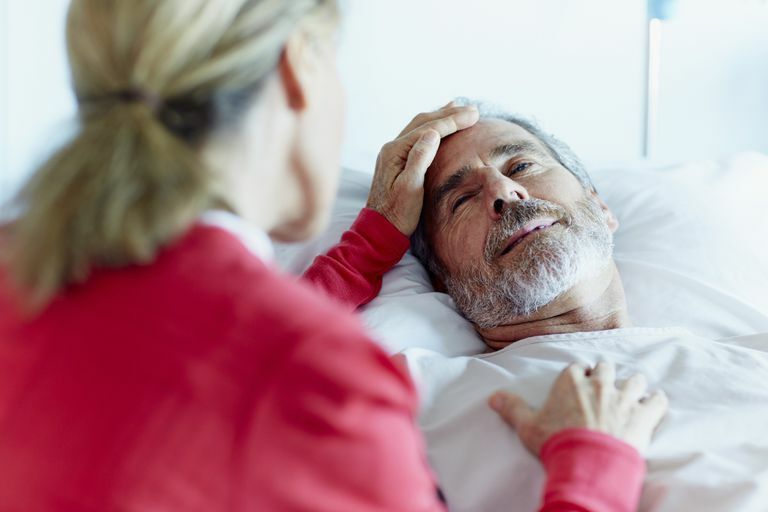 As medical science has improved, and our ability to identify the cause of a stroke has also improved, and the number of people who are said to have a cryptogenic stroke has begun to fall. However, “cryptogenic stroke” remains a fairly common diagnosis. Who Gets a Cryptogenic Stroke? The profile of people who have suffered cryptogenic strokes is generally the same as for people who have suffered strokes of identifiable causes. They tend to be older individuals, who have the typical risk factors for cardiovascular disease. Cryptogenic strokes are seen equally in men and women. They may be more common in blacks and Hispanics. While cryptogenic strokes in younger people (under age 50) get a lot of attention from doctors and from researchers, studies suggest that the actual age distribution of cryptogenic strokes is the same as for non-cryptogenic strokes. That is, the ability to identify the cause of stroke in younger people is just about the same as it is in older people. What Is the Outlook After Cryptogenic Stroke? In general, the prognosis of a patient who has suffered a cryptogenic stroke appears to be somewhat better than for non-cryptogenic strokes. In general, these strokes tend to be smaller than non-cryptogenic strokes, and the long-term prognosis is somewhat better. Still, the 2-year rate of recurrent stroke after a cryptogenic stroke averages 15 - 20 percent. Since treatment to prevent recurrent stroke depends on the cause of the stroke (anticoagulation with warfarin after embolic stroke, antiplatelet therapy with aspirin or clopidogrel after thrombotic stroke), the best therapy after a cryptogenic stroke is unclear. The consensus among experts at this point, however, leans toward using antiplatelet therapy. Probably for this reason, studies that have evaluated the potential benefits of using PFO closure devices in patients who have had cryptogenic strokes have been disappointing - no reduction in subsequent strokes has been identified. At the same time, the procedures used to close PFOs expose patients to the potential of serious side effects. It is still likely that in certain patients, closing PFOs would probably be beneficial. But at this point, there no proven method for determining which patients with cryptogenic stroke and PFO would benefit from PFO closure. However, a recent study suggests that by employing a transcranial Doppler study, in conjunction with a bubble study, doctors can begin to detect those particular patients in whom cryptogenic strokes might have been caused by a PFO. Further studies will be needed to assess whether closing the PFO will reduce subsequent strokes in this subset of patients. At this point most experts find it reasonable to perform PFO closure in people under 60 years of age who have had a cryptogenic stroke and a suspicious Doppler study. However, it is believed that the routine closure of PFOs in other people with cryptogenic stroke cannot be justified today. The American Academy of Neurology in 2016 warned against routinely offering PFO closure to people who have suffered cryptogenic strokes. Atrial fibrillation is a well-known cause of embolic stroke, and patients with atrial fibrillation generally need to be anticoagulated. Recent evidence suggests that a substantial minority of patients with cryptogenic stroke may have “subclinical” atrial fibrillation - that is, episodes of atrial fibrillation that do not cause significant symptoms, and therefore go unrecognized. Further, there is data suggesting that that long-term ambulatory cardiac monitoring may be useful in identifying subclinical atrial fibrillation in patients who have had a cryptogenic stroke. In these patients, presumably, as in other patients with atrial fibrillation, anticoagulation would likely reduce the risk of recurrent stroke. For this reason, ambulatory monitoring should be performed on anyone who has had cryptogenic stroke, looking for episodes of atrial fibrillation. In a substantial minority of people who suffer from a stroke, no specific cause can be identified after a thorough medical evaluation. While people who have such a cryptogenic stroke generally have a better prognosis than those in whom a definitive cause is found, they should receive special attention looking for potential underlying causes, in particular, for possible patent foramen ovale, or atrial fibrillation. Cujec B, Polasek P, Voll C, Shuaib A. Transesophageal Echocardiography in the Detection of Potential Cardiac Source of Embolism in Stroke Patients. Stroke 1991; 22:727. Lansberg MG, O’Donnell MJ, Khatri P, et al. Antithrombotic and Thrombolytic Therapy for Ischemic Stroke: Antithrombotic Therapy and Prevention of Thrombosis, 9th ed: American College of Chest Physicians Evidence-Based Clinical Practice Guidelines. Chest 2012; 141:e601S. Saver JL. CLINICAL PRACTICE. Cryptogenic Stroke. N Engl J Med 2016; 374:2065. Hart RG, Diener HC, Coutts SB, et al. Embolic Strokes of Undetermined Source: the Case for a New Clinical Construct. Lancet Neurol 2014; 13:429.